With all those ardent Instagram users who have a public profile, it might be a common curiosity that who would have viewed their profiles. Instagram is now the most popular photo and video sharing social media platform around the globe and with billions of users. Officially, Instagram does not allow you to check who has viewed your profile as it doesn’t have any such in-app functionality. But, if you are one of those curious people who want to know who is stalking their profiles, then this post will certainly help you. 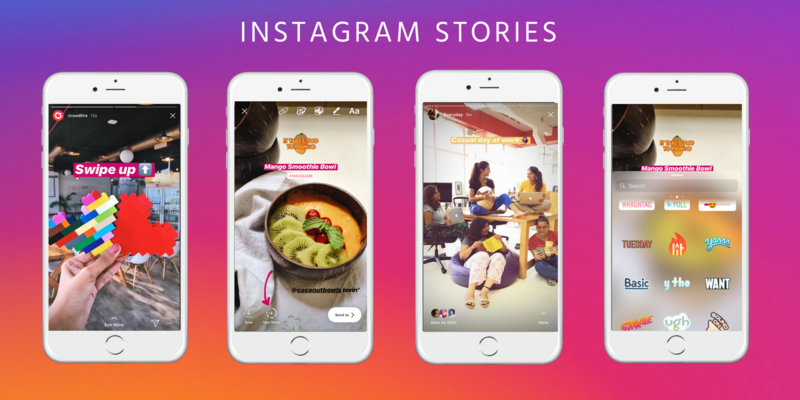 If you want to check your profile visitors, then the best alternative is the Instagram Stories feature in the app. The stories that you post on Instagram with a public profile are accessible to everyone. Once you post a story, open it and swipe up. You will see an eyeball icon; just click on it and you will be able to find the list of users who have seen your story order wise. This feature in Instagram lets you track who is watching your content daily. Even if the user is not following your account, their name will still be listed. The best part of this feature is that you know who is seeking your profile intentionally because Instagram stories cannot pop up in any unknown user’s profile randomly. With Instagram business account it is possible to check who has been viewing your profile. When you have a business account, it gives you information about the number of users who have visited your profile along with their age, gender and online timing. But it cannot reveal the name of the users who had seen your profile. Now that you know the limitation of your options to find out who is stalking your profile, you must be wondering about the third-party apps. There are many online tools and third party apps for Android and iOS that claim to give you details on who viewed your Instagram profile by giving them access to your account. However, if you see their ratings and reviews, you will find out that they decently do not work as they claim. The reason these apps do not work is very simple; Instagram has very restrictive data policies wherein it shares the user information only with apps which have been approved by Instagram to use the API. The apps that claim to show who viewed your profile just show random user profiles every time you open your Instagram account. You will observe that these random profiles keep changing every time you login to your account. Additionally, the security with these apps is highly doubtful; these apps steal your private data as soon as you give them access to your account. Some of these apps also charge you an access fee to show you more than 5 user profiles and keep spamming your device with loads of ads in every few minutes. So, unfortunately, using third-party apps is out of question because with them you are bound to be disappointed. The hard truth is that finding the exact user name who viewed your public profile is not really possible. How to Schedule Email in Gmail?